Covered bridge in Vermont's Battenkill Valley. On certain back roads in Vermont, you can time-travel back to a rural, simpler America. It's a world where lush, sinuous Green Mountains, Mom’s apple pie made from orchard fruit down the road, locally tapped maple syrup, the sweet smell of newly mown hayfields, and cool dirt roads shaded by stately, century-old maple trees strike chords you may not even know you possessed. These aren’t clichés, up here in Vermont. You really can time-travel back to Norman Rockwell’s bucolic version of America--those paintings featured on the covers of the old Saturday Evening Posts, depicting small-town life at its most idyllic--because, in fact, Norman Rockwell lived on one of these very back roads and drew from the surrounding community of Arlington, Vermont, his inspiration and his models. One of the most easily accessible areas of Vermont--bordered by New York and Massachusetts--is the Battenkill River Valley in southwest corner of the state, with the small town of Arlington (population 2290) at its leafy, mountainous epicenter. The former original capitol of the Republic of Vermont in 1787, Arlington was the home of those rebel Green Mountain Boys, Ethan and Ira Allen, who defied the English during the Revolutionary War. Arlington is a bit of real New England, with covered bridges, grazing black-and-white Holsteins, working sugarhouses, colonial architecture, and a grand section of a famous fly-fishing river, the Battenkill (also known as the Batten Kill), which you can canoe, tube and fish. The Green Mountain National Forest--filled with hiking trails (including a section of the Appalachian Trail) is a stone’s throw away, while Antique stores and weekend tag sales draw bargain shoppers who want to nose out the overlooked--and underpriced--vintage treasure. Technically, the town is divided into three sections: Arlington proper, East Arlington and West Arlington. In Arlington itself, you’ll find the main commercial center--don’t blink!--the post office, banks, schools and churches. East Arlington is a picturesque, tiny historic village straight out of a Currier and Ives painting with a small café, antique shops, waterfall and candy store (homemade fudge). West Arlington is actually a rather long stretch that follows the Battenkill River into New York State. More rural than the other two areas, there are several farms to visit and wonderful country roads to meander. Nothing else in Southern Vermont is very far from Arlington. The town of Manchester--with its upscale outlet shops and fine restaurants--is 15 minutes north, and Bennington’s world-famous Grandma Moses museum is only 15 minutes south. The funky, timeless village of Cambridge, New York--with its art galleries and bookstores--is only 20 minutes down the road. 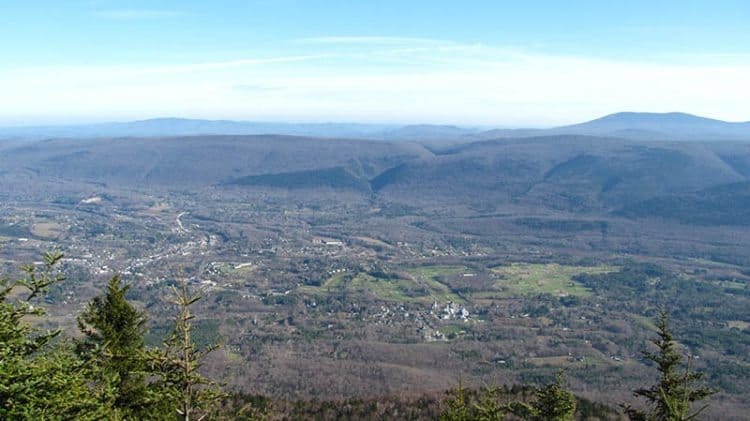 The ski resorts of Bromley and Stratton are less than a half-hour away, and the Appalachian Trail, Long Trail and Green Mountain National Forest are just up the road (literally) from East Arlington. This bit of Vermont is not only home to picture-postcard landscapes, but is also a cultural mecca that draws lots of folks from surrounding states to its myriad events. Jazz, folk, visual arts, musical theatre, classical music, children’s theatre, a fly-fishing museum, a Norman Rockwell museum, a Grandma Moses museum, a peony festival, farm festival, antiques festival, historic houses, antique car shows, polo, the Vermont Symphony Orchestra, and the New York City Ballet all bring the valley to life. The summer months, especially, in southern Vermont are so ripe with cool events you can’t do it all. But you can die happily trying. Southern Vermont is also known for its fine winter skiing and boarding, and nearly all mountains make snow to compensate for the occasional bare month. But there is also great cross-country skiing, snowshoeing, sledding, sleighrides and ice skating--either indoors or out to keep you warm during the colder months. But fall is the time of year we Vermonters like best. With gorgeous colors quilting the landscape, fresh-picked apples, cool days and the smell of woodstoves burning the first logs of the season, October brings out the best in the Battenkill Valley. The majority of attractions in Arlington and the Battenkill Valley are outside, but even on a rainy day, there are arts centers, museums, tons of historic buildings and other favorite local attractions to keep you busy. If you’re big on New England landscapes, you’ll want to make a pilgrimage to one of the two historic covered bridges in the area. These red wood bridges are a solid reminder of a past when bridges ("covered" for preservation) were the vital links between communities. When periodic floods washed away Vermont bridges, some areas were virtually stranded for months. One bridge, the Chiselville Bridge, on Sunderland Hill Road in East Arlington, was built forty feet high in the air, spanning a deep gorge to escape flood threats. 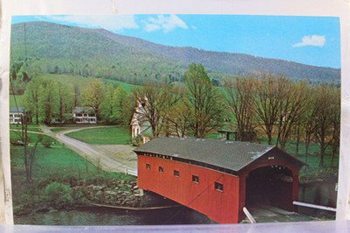 Built in 1870, it’s the second highest covered bridge in Vermont. You might even recognize it; it’s been featured in several movies. The sign above it states that anyone going faster than a walk on the bridge will be fined. The Bridge on the Green, located in West Arlington off Rt. 313 and spanning the Battenkill River, was built in 1852. It sits next to a picturesque white clapboard church, the West Arlington Grange and the Town Green, and is one of the most photographed bridges in the state. There are picnic grounds beside it and in summer, daredevil kids tie a rope swing to it and land in the cool waters of the Battenkill below. Norman Rockwell lived in Arlington for almost 20 years and painted many of his famous Saturday Evening Post covers using local folks as models. The Rockwell Gallery has a decent-sized collection of his works and some of the locals who posed for him often give talks or tours. Open Tues-Sunday, 9-5pm. Admission $2. One of the finest regional history and art museums in the country, The Bennington Museum has collections of early American furniture, ceramics, decorative arts, tools, toys and military artifacts. Also houses the Grandma Moses gallery, featuring the works of the renowned folk artist who lived just nearby. Open daily year round. THE SVAC has recently undergone a major expansion and is considered one of the premier arts museums in the region, with local, national and international artists’ work on display. Permanent and traveling exhibitions, gorgeous grounds, nature trails and The Artist’s Palate Café make the Center a must on your journey. Open daily. An imposing National Historic Trust Georgian Revival mansion set among hundreds of acres of some of the most splendid fields and gardens in the whole area, Hildene was the home of Abraham Lincoln’s grandson, Robert Todd Lincoln. Several generations of the Lincoln family maintained the home and grounds until 1975 when it was converted into a public monument. The house itself is filled with period furnishings, antiques and Lincoln family memorabilia, and the observatory and formal gardens are exquisitely preserved. Open May-October for tours. 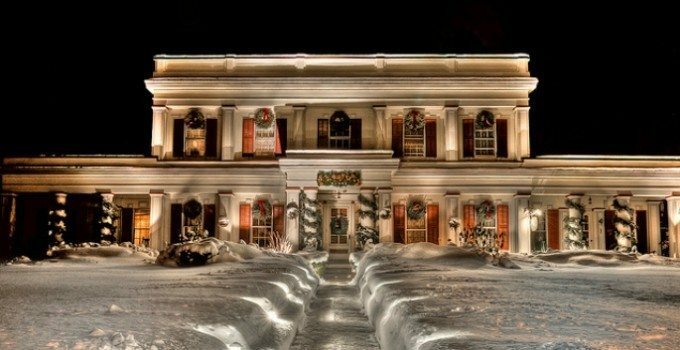 Concerts and candlelight tours are offered in the winter season and the carriage barn becomes a cross-country ski center in winter. The massive meadows not far away are used for polo matches and tented antique and craft festivals. Considering that Manchester is home to the legendary fly-fishing outfitter, Orvis, and an equally legendary river, the Battenkill, it should come as no surprise that it would also be home to the American Museum of Fly Fishing. If you’re a fan of the sport, check out the impressive collection of rods, reels, flies, art, tackle and other fly-fishing paraphernalia, including rods owned by Daniel Webster, Dwight D. Eisenhower and Herbert Hoover. Open daily, year round. At 3,618 feet, Mt. Equinox isn’t Himalayan, but it is the tallest mountain in the region and offers stunning views from the summit. A paved road accessed from Route 7A just north of Arlington will wind you up to the top, where you can have a drink or a meal at the Skyline Hotel located there. on a clear day, you can see all the way to New York and Massachussetts. The road is closed in winter, but there are also several walking, hiking, and cross-country ski trails to the summit that can be accessed from behind the Equinox Hotel in Manchester Village. The mountain, once sacred to the native Americans who lived here, is owned by a silent order of Carthusian monks whose monastery is located halfway up. Sorry, no visitors, but you can see it from the summit. The Wayside is the quintessential Vermont country store. With everything from bullets to CDs, topo maps, fishing and hunting licenses, wine, beer, groceries, coffee, newspapers a deli, organic foods and Vermont products, if you need it, you’ll find it here. Every morning at 6:30 a.m., the "Round Table" convenes. This is a gathering of men and women, young and old, who convene to discuss the events and news of the day over coffee. You might not make it out that early in the morning to meet the local cast of characters, but try to stop by this historic store at some point during your visit. Doug and Nancy Tschorn are the friendliest of proprietors, offering warmth and help to all visitors. Open seven days a week. For a quiet time of reflection, visit the New Skete Monastery, in the neighboring town of Cambridge, New York, off Rt. 22. Twelve Eastern Orthodox Catholic monks, along with the Nuns of New Skete, maintain this monastery, a wooden structure with distinctive gilded onion domes tucked away in the hills. The monks gather twice daily for services, and the order has gained fame for their writing and videos on the training and breeding of German Shepherd dogs, and also for their specialty foods, including cheese cakes, smoked meats and cheeses. The monastery extends an open invitation for all to attend Vespers at 7:30 p.m. or on Sundays at 9 and 10 a.m.
On a hot summer day, there’s nothing better than a sumptuous cone of homemade, homegrown Vermont ice cream. Residents and savvy travelers look for the little roadside signboard by the cornfields once again announcing that the ice cream stand is open for business. Forget Ben & Jerry’s, Wilcox’s is a family-owned dairy farm that supplies dairy products and ice cream to both area grocery chains and mom-and-pop convenience stores. Don’t miss their rich offerings. Look for the little wooden signboard directly south of the Equinox Valley Nursery. It wouldn’t be Vermont without farm stands selling fresh produce and Vermont-made products from family farms and gardens. Southern Vermont has some of the best farm stands in the whole state (OK, we’re biased, but these veggies are FRESH!). One of the best farmstands in the area with locally-grown organic fruits and veggies, fresh baked breads and freshly-picked flowers. Open daily. The Pickering family also has a fine selection of locally grown produce. If you’re heading west, make sure to stop at Moses’ Farm in Eagle Bridge, NY, about 30 minutes from Arlington. 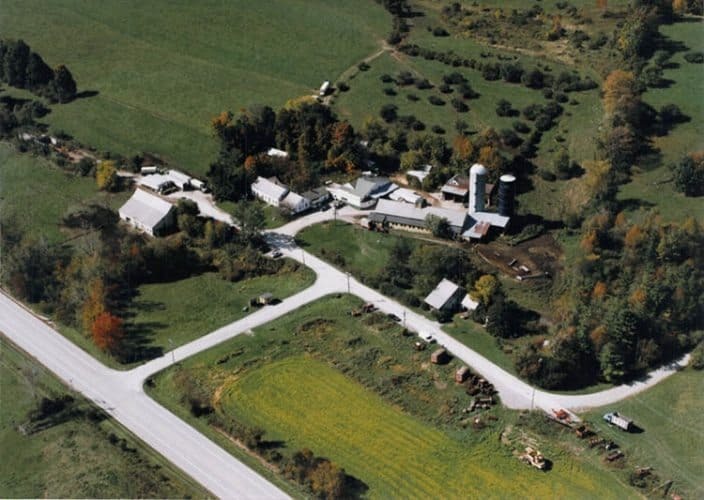 This is Grandma Moses’ family farm and is still family owned and operated. Folks travel for miles for the sweetest tomatoes and corn in the whole region, and local grocery stores make a point of promoting the fact that they have "Moses" vegetables. Chances are you’ll also stumble past a roadside stand belonging to a local family who just had a few more veggies than they needed this summer. You might even chance upon someone selling homemade apple pies and jams. Some people think there is no better place to be outdoors than in Vermont. They may be right: we’ve got incredible scenery, miles and miles of uncrowded dirt roads, off-road trails for mountain biking, pristine rivers and lakes and, best of all, temperate weather. If you’re headed outdoors, several local outfitters can set you up with bikes, gear, canoes, trail maps and guides. Hikers will be interested in the section of the Appalachian Trail that passes up along the Battenkill Valley, called the Long Trail. It runs along the ridge of the Green Mountains and the Berkshire Hills. The entire trail extends from Georgia to Maine, and was first proposed as a hiking trail in 1921, following the route of an old Native American highway. The entire length of the main trail in Vermont is 262 miles, but you can access it from Kelley Stand Road in East Arlington. You can reach a local National Forest Ranger in Manchester at 802-362-2307. Other hiking trails in the Green Mountain National Forest can also be accessed off Kelley Stand Road. The Battenkill Valley is renowned for biking with lots of back roads for mountain biking and miles of relatively flat paved ones for touring. One of the most scenic bike rides is along the Battenkill on River Road in West Arlington, which parallels Rt. 313. Park your car at the westernmost end of River Road and bike east along the river on the smooth, flat dirt road. You’ll travel 8 miles each way through a fantasy landscape of farms, river and woodland. North Road (out of East Arlington) is another great biking spot and will take you the back way to Manchester. Sunderland Hill Road (paved) is great touring road that crosses the Chiselville Bridge past farms and historic buildings into Manchester Village. Route 313 West follows the Battenkill and will take from Arlington into New York State through rolling farmlands. You’ll also want to check out the Battenkill in depth. This world-famous river is the sinuous, watery spine of the region. Once the main source of power in the Vermont towns, the river was then crowded with grist-, saw-, and other industrial mills. Here in the 21st century the river is a major source of recreation, offering canoeing, tubing, hiking, picnicking and fly fishing You’ll need a license (buy one at Wayside Country Store) and you’ll need to abide by the new catch-and-release rules for preservation. Stock up on outdoor clothing and fly-fishing gear at Orvis in Manchester. Offers self-guided day trips, rentals and an inn-to-inn canoe jaunt on the Battenkill. Tubes can be rented at Video Villa on Route 7A in Arlington. If you head in the opposite direction, east out of East Arlington, you’ll run into the Kelly Stand Road. This gravel road (closed November to May) was once a main thoroughfare across the Green Mountains. Daniel Webster once gave a rousing political speech to over 15,000 people in a field near the top, and loggers from miles around frequented the now gone taverns and bowling alleys in the once bustling town. Deceptively pristine, the Kelley Stand Road now winds up along the boulder-strewn, Roaring Branch River, into the Green Mountains and eventually to the backside of Stratton Mountain. There are first-come, first served free camping and picnic sites along the river side of the road and the lovely Grout Pond where you can camp, hike, kayak and canoe is just over the top. Just south of Arlington, Lake Shaftsbury State Park on Rt. 7A is a lovely place for canoeing, swimming or picnicking. Open summer only. On a hot day you can always take a dip or tube in the Battenkill or up the Kelley Stand Road in the local swimming holes of the Roaring Branch. The Recreation Park on Route 7A in Arlington also has a swimming pond open in summers only, and Lake Shaftsbury State Park is only a few miles south. 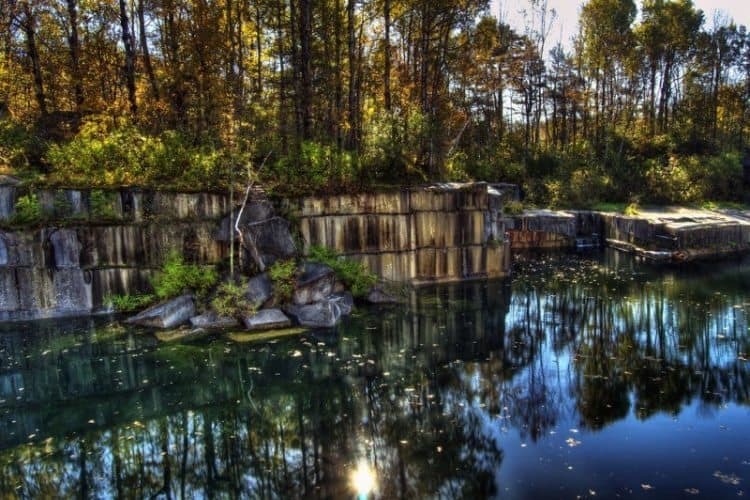 Another hot spot where you can get cool is the Quarry in Dorset, about 25 minutes north of Arlington. This is an old marble quarry, now flooded by deep, cold water, and there is always someone flinging themselves off the high marble walls or picnicking among the white monoliths that border the pit. Located on Rt. 30, halfway between Manchester and Dorset. With miles of remote mountain trails and old logging roads, there are many opportunities to get in the saddle or hitch up a sleigh. Private hay rides, trail rides and sleigh rides in winter. Trail rides, sleigh rides and moonlight sleigh rides. There are world-class golf courses at the Equinox Hotel in Manchester Village and at Stratton, but why pay outrageous fees when you can play for (almost) free in Arlington? The Arlington Recreation Park has a nine-hole golf course open to the public. It only costs a small donation (payable into the box at the first tee), and is a favorite local course. Stratton and Bromley ski resorts are just a few minutes drive, but even Arlington has a great cross-country ski area. In winter, the Arlington Recreation Park has a trail that will take you along the Battenkill River, through the woods and back again. And it’s free! There is also an outdoor skating rink at the park. It’s real old-fashioned (bring your own hot chocolate and skates), but lots of fun for the kids and the adults. For indoor skating, head to Riley Rink on Route 7A in Manchester, an Olympic-sized rink with skate rentals and a snack bar. In winter, Kelley Stand Road and the Green Mountain National Forests’ trails are open to snowmobilers, snowshoers and cross-country skiers. But you’ll need a snowmobile to get up the road from Arlington. You can also access the trails from Stratton Mountain. Vermont’s apple orchards are favorite spots for locals and travelers alike. Apple picking is a great way to spend an afternoon for families and nothing tastes better than an apple fresh off the tree. Owned by the famous antique car afficianado magazine, Hemmings Motor News, this orchard offers acres of different apple varieties, bags and apple pickers. If you don’t want to do the work yourself, you can just buy a sack full to munch on your hike or bike. Also has blueberry picking in season. If you’re here in the winter, you can visit one of the local tree farms and select a beauty of a Christmas tree from among the young spruces and firs, another Vermont family farm industry. These are the real things: freshly cut, homegrown Vermont evergreens. Tag your tree in the fall and it will be cut and shipped to you in time for Christmas. If you’re looking to learn some real outdoors skills while traveling, check out Manchester’s Land Rover Driving School or the British School of Falconry. Both offer day or weekend long classes in off-road driving and hunting with falcons. If fly-fishing is your thing, try Orvis’ fly-fishing clinics held at the Orvis pond in Manchester, or take a longer guided course with a few hours on the Battenkill. The Southern Vermont Arts Center often has day or weekend workshops in the visual arts. Contact them for the exact schedule of classes. Several local tour operators and outfitters can set you up for almost any kind of activity. Daily, customizable back road tours of covered bridges and historic buildings. Tours generally begin in Manchester. "Personalize your Vermont experience." Prices range from $15pp to $30 pp. Reservations required. 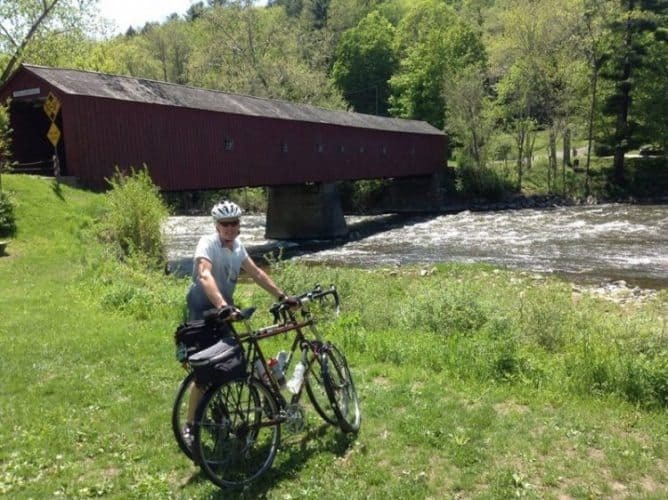 Guided, multi-day inn-to-inn and hike/bike tours all around Vermont, including Arlington and the Battenkill Valley. Tubing, canoe and kayak rentals, hourly and day-long trips and camping along the Battenkill just 10 minutes from Arlington. From luxurious country inns to family-owned B&B’s and farmstays, there is no shortage of unique lodging in the Arlington area. 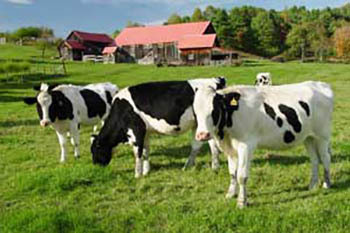 On 50 peaceful acres along the Battenkill River with magnificent mountain views and farm animals. Full country breakfast and dinners. Rates range from $65-$150. A romantic 1848 Greek Revival mansion with 18 luxurious rooms, many with jacuzzis and fireplaces, all with private baths, gourmet dining room, in the center of Arlington. Rates range from $90-$225. Nestled on 150 mountainside acres overlooking the Battenkill and Arlington. Charming rooms in sprawling antique house, relaxed atmosphere, fine country cuisine, llamas and miles of hiking trails. Rates range from $115-$256. An expansive Federal Colonial filled with antiques right on the Battenkill. Five bedrooms, a superb country breakfast, pond and meadows. Rates range from $90-$145. The former home and studio of Norman Rockwell is beautifully restored Colonial across one of the most picturesque covered bridges in the state. Wonderful rooms, gourmet breakfasts, easy access to hiking, biking, fishing and canoeing. Rates are from $130 to $180 per night, double occupancy. Tucked away on 450 acres in the tiny village of Sandgate, The Green River Inn offers fourteen renovated guestrooms with views of mountains and river, private bath, some with whirlpools and fireplaces. Sheep, llama and Highland cattle also live here. Bountiful breakfasts, dinner specials and mountainside cookouts. And yes, the Green River really is green. Rates range from $70-$210. A particularly attractive lodging option–and Arlington’s best-kept secret–is the located just beyond the Chiselville Covered Bridge. Rustic and charming historic log cabins, a favorite private retreat of artists and writers since 1913, situated in a 35-acre pine forest surrounded by the Roaring Branch River. Cabins offer complete housekeeping facilities with woodburning fireplaces. Two clay tennis courts. From late May to early October cabins are available by week; rates range from $600-$700 per week. In June, September and October, rates for a 3-night minimum stay range from $100-$115 per night. Located _ mile north of Arlington, right on the river. Features 102 sites, most are wooded, some in open meadow. Open mid-April to mid-October. The Battenkill Valley offers an astounding smorgasbord of dining opportunities. From take-out, light fare, starting out at $3 for a simple, yummy sandwich, to the finest Continental cuisine at the-sky’s-the-limit prices, you name it, Arlington and Manchester have it. For take-out lunches and light dinners (great picnic foodstuffs), just down the road from Arlington’s center on Historic Rt. 7A, is Loka Gourmet. Burritos, salads, tabouli, grilled veggies, hummus, quiches and whimsical baked goods. Open Tuesday through Sunday, 802-375-2310. For casual local lunch and dinner dining in Arlington, try the East Arlington Café on Old Mill Road in East Arlington. Chef David Ingisson dishes up some of the finest entrees in town, including crab cakes, fish and chili made with local microbrew beer. Moderate. Open Tues-Sat for lunch and dinner. Jonathon’s Table on Route 7A by the Sugar Shack is another casual Arlington dining spot. Featuring prime rib and hearty New England fare, it is off the beaten path, but worth the stop. Dinner only. Closed Tues. and Wed. If you want a real old-fashioned dining experience (with fries and a shake), stop at Snow’s Dairy Bar on Route 7A south of the center. Open spring through fall, Snow’s has tasty and inexpensive burgers, hot dogs, fresh-fried haddock and soft-serve ice cream. A favorite local spot and a hit with the kids. The Arlington Inn and West Mountain Inn also have fine restaurants open to the public. The West Mountain does an amazing Sunday brunch, too. Try the Sticky-Gooey thing. If you’re willing to drive north to Manchester, you can find some tasty, if sometimes expensive, alternatives. Two of the area’s most renowned restaurants are Mistral’s (exquisite French cuisine in an intimate riverside setting) on Rt. 11/30, 802-362-1779 and Chantecleer (European cuisine) on Rt. 7, 802-362-1616. Reservations and proper attire are essential at both. If you’re in the Manchester area hiking or shopping, stop for a creative bagel and fresh-roasted Green Mountain coffee at Bagel Works on Rt. 11/30 in the center of town, or pick up some donuts and local gossip at Mrs. Murphy’s Donuts just up the road. If you need lunchtime takeouts, Al Ducci’s Italian Pantry, a little bit of Italy in Manchester, draws locals as well as savvy travelers who crave their fresh sandwiches, homemade soup, handmade sausage, renowned fresh mozzarella, pastas and raviolis. Another favorite local lunch spot is Village Fare, just across from the Equinox Hotel, offering wonderful fresh sandwiches, salads and baked goods to die for in a sunny, relaxed café setting. If you’re headed south to Bennington, be sure to stop at the Blue Benn Diner, on Route 7. A classic diner with a distinctly hip taste, the "Benn," as it called, has been a local favorite for generations. Their vegetarian specials are the best in town and the breakfasts--huge omelets, granola pancakes and homemade donuts and muffins–are well worth the wait. East Arlington offers the best shopping in town. The Happy Cook--everything you can think of for the culinary maestro--and The Candle Mill--thousands of candles and a dip-your-own stand for the kids--are housed in historic buildings beside a lovely waterfall and picnic area. Stop at The Village Peddler across the street for some homemade candies and fudge to munch on while you peruse the treasures in the East Arlington Antiques Center next door. Another filled-to-the-brim antique center is just up the road in an old movie theatre. The shopping opportunities in Manchester are nearly legendary. All stores are within walking distance of each other in the heart of Manchester on Rt. 7 and Rts.11/30. Think Freeport, Maine, married to New York City. Outlet shops include Armani, Donna Karan, Johnston & Murphy, Escada, Coach, Cole Haan, Ralph Lauren, Calvin Klein, Timberland, Versace, J. Peterman, Movado. The prices aren’t always the lowest, but sometimes you can find some real bargains. Bring your credit card. Besides the glittering outlet stores, there are the quirky local shops: The Old Game Store, The Bird Place, Vermont Village Crafts, The Jelly Mill, The Porter House of Fine Crafts, and Herdsman Leathers are all locally-owned shops with eclectic merchandise. For the best selection of books in this part of the state, head to the Northshire Bookstore in Manchester, a fine, independent bookstore dedicated to the art of browsing. Excellent sections on local lore, authors and guides. Check their full schedule for readings and author appearances. There’s always something happening in southern Vermont. Some events are world-class arts performances, while others are local parties--travelers invited. Professional summer theatre performances of both classics and new plays. 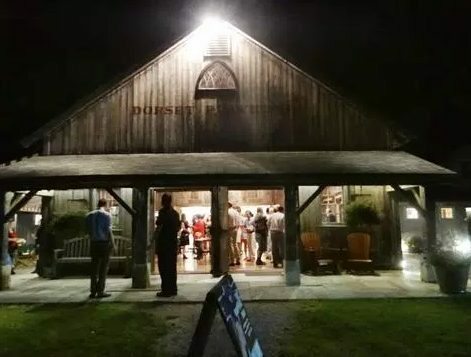 The Dorset Players perform during the rest of the year and Dorset Children’s Theatre performances are held at Bromley Mountain in the summer. Weekly performances at the Hunter Park. Bring a picnic dinner and enjoy the summer evenings. Special Fourth of July Concert with fireworks at Hildene’s Meadowlands. Huge white tents are set up in the Hildene Meadowlands with hundreds of crafts producers from around the country. Farm and Food fairs feature locally-produced specialty foods, farm events and crafts. The entire town of Arlington cleans out their basements and attics for a town-wide tag sale. Treasures galore! Arlington’s St. James Church has a wonderful Harvest Festival and huge Chicken Pie Supper frequented by travelers and locals alike. Worth coming to town for. There are also countless other concerts, lectures, performances, rummage sales, antiques auctions, local benefit chicken, ham and game suppers, polo matches, races, full moon hikes and festivals all year long. Contact the Arlington or Manchester Chamber of Commerce or check the Vermont News Guide, a free weekly magazine available just about anywhere in the region, for listings. Also check bulletin boards at Paulin’s on Route 7A in Arlington and Mrs. Murphy’s Donuts on Routes 11/30 in Manchester. The nearest airports are in Rutland (45 minutes north), with daily flights from Boston, and Albany (an hour and 15 minutes) with flights from all major cities. You can also fly into Bradley Airport in Connecticut (2 hours) or Manchester, New Hampshire (two and half hours). Amtrak’s service to Rutland is available from New York, Washington and other points. Otherwise, the nearest train station is in Albany. You can reach Arlington from all points. Highway 91 runs north through central Massachusetts and up along the eastern border of Vermont. Take Exit 3 at Brattleboro and head west on Rt. 9 to Bennington. Arlington is 15 minutes north of Bennington on Rt. 7. Only a 4- hour-drive from New York City, you can also access Arlington from the southwest via Rt. 7 out of Albany, New York, or Rt. 22, which runs north along the New York/Massachusetts border. Once in Bennington, head north on Rt. 7. Vermont Transit Lines runs daily buses to and from New York environs that stop right in the center of Bennington, Arlington and Manchester on Historic Rt. 7A. For schedule info, call 802-442-4808 or 802-362-1226 or vermonttransit.com. Travel by car is easy given the relatively few main roads that run through these small New England towns. Stop at the little white building which houses the Arlington Chamber of Commerce (located on Historic Rt. 7A in the center of Arlington) to pick up a terrific map of the area and other information on local points of interest. You can catch a ride between Bennington, Arlington, and Vermont on the Vermont Transit Line or the new commuter bus, "The Bus," or hop the summer-fall Vermont Valley Flyer tourist train from Manchester Depot to Arlington and back (the train actually goes all the way to North Bennington, a quaint village at the back door of Bennington College). Once at your destination, all towns are suitable for walking tours. Several local taxis provide service, as well. Serves Arlington, Manchester, Bennington and the mountains. There are ATMs available right in the center of Arlington at the Factory Point Bank and The Chittenden Bank on East Arlington Road. In Manchester, several ATMs are available at the Chittenden Bank, on Rt. 7A and at the Factory Point Bank on Rt. 11/30, near the outlet stores. Credit cards and checks with proper ID are widely accepted. For emergencies, The Southwestern Vermont Medical Center is located in Bennington, just 15 minutes south of Arlington. For medicines, try Mortar and Pestle Pharmacy on Route 7A in Arlington or Rite Aid on Route 7A in Manchester. Public phones are available at Stewarts’ on Route 7A in Arlington and near the Chamber of Commerce Traveler’s Booth on Route 7A in Manchester. Arlington’s main post office is located on Route 7A and the East Arlington Post office is located next to the East Arlington Café on Old Mill Road. Important: Due to the fact that Arlington sits in a valley, some cell phones might have a difficult time receiving or transmitting. If you want to be on top of current happenings, events, music, theater, anything, pick up a free copy of the weekly Vermont News Guide at nearly any convenience store. You’ll have your finger directly on the pulse of the entire area. Baja California, Mexico:Should You Go? Ukraine's Capital City Kiev Defines "Extra"